Months ago my Right Brain told me that my purpose in life was to help others find Wellness, Purpose, and Fulfillment. That phrase came to me through a series of exploratory exercises on the road to finding my WHY. This sounds beautiful, and I am convinced that it is true. This is my WHY. The only problem was that I wasn't quite sure what it meant. Why those three things? Why not add a forth or pair it down to two? Although I wasn't sure, I'd learned to just trust and move forward and keep circling around that idea, knowing that one day my Left Brain would finally find the center of the thought and understand that secret that my Right Brain had already discovered. Until a few days ago, the main thing I knew was that Wellness is Key. Without a healthy mind+body+spirit, you are going Nowhere you want to go. But what was the connection holding wellness together with purpose and fulfillment? The secret is that once you take care of your wellness, it is selfish and lazy to hold all that in for yourself. 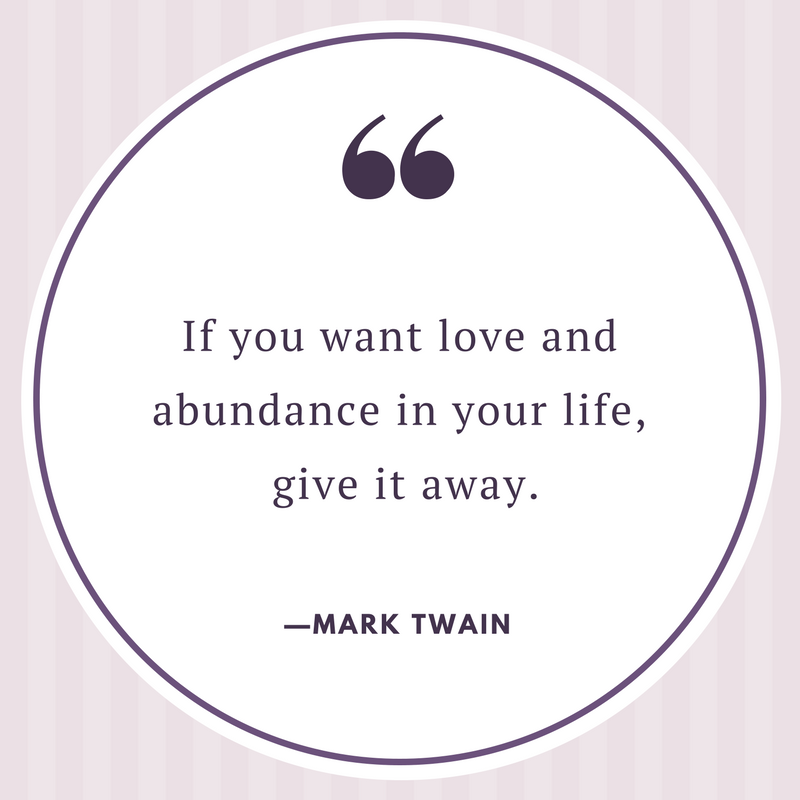 Abundance means having more than you need so you give some away. Once you discover internal strength, balance, and grounding it's time to Envision the difference you can make in the world. It's really a two-sided coin scenario. You can't give until you have, so you must always focus on your Wellness. But once you have, you cannot keep it to yourself. What are the problems in the world that I feel passionate about? The answers to these questions reveal your Purpose on Earth. They are the answer to every WHY question you throw at them. They must become the basis of every decision you make. The more deeply connected you are to your purpose, the more powerful your drive and the deeper your passion. But you can't stay here either, feeling happy for yourself that you are full of potential. You've got to get out there and make it happen! You've got to start putting checkmarks on your bucket list. It's time to start writing DONE on your to do list. Never losing sight of your purpose, never neglecting your wellness, you move with vision and determination toward the summit of your greatest ambitions. You fulfill your wildest dreams, and you inspire others to do the same. This is the Why behind my Why. This is what made sense to me before it made sense. The progressions of the great life we are all capable of is this. Wellness + Purpose +Fulfillment. It is an addition problem where the answer is LIFE! The power of this addition is available to everyone. My WHY is basically to help you find your WHY, to give you the wellness you need to live it, and help you appreciate the Abundance and Joy of Fulfilling your Purpose. If you want this, you can have it. Join me for my LIVE workshops, sign up for a coaching session, reach out via email. Take that first step, that one preliminary action, and together we will discover your Wellness, Purpose, and Fulfillment!